Below is an interview with my friend and colleague via Docent Research Group, Justin Holcomb, on his forthcoming book Know Your Heretics (April 28th). Justin is an Episcopal priest, (serving as the Canon for Vocations in the Diocese of Central Florida) and teaches theology, philosophy, and Christian thought at Gordon-Conwell-Theological Seminary and Reformed Theological Seminary. He is married to Lindsey and has two daughters. He and Lindsey wrote Rid of My Disgrace, a book on gospel hope and healing for sexual assault victims, which I highly recommend and have reviewed here. Recently they co-authored a similar book on domestic violence titled Is it My Fault? : Hope and Healing for those Suffering Domestic Violence. You can follow him on Twitter here. If you share this interview on some sort of social networking site and let me know in the comments I’ll draw your name out of the others who do the same and send the winner a copy of the book. A heretic is someone who has compromised an essential doctrine and lost sight of who God really is, usually by oversimplification. 1. First off, what makes someone a heretic? A heretic is someone who has compromised an essential doctrine and lost sight of who God really is, usually by oversimplification. Literally, heresy means “choice”—that is, a choice to deviate from traditional teaching in favor of one’s own insights. The Nicene Creed is a historic, globally accepted ecumenical creed that encapsulates the good news of the gospel into a short and rich summary. It covers the basic essentials of 1) who God is, 2) what God is like, and 3) how God saves. If a believer authentically holds to the Nicene Creed, we should not call them a heretic, no matter how strongly we believe they are gravely in error on the details or on other doctrines. A good shorthand for heresy, then, is to ask, “Can they say the Nicene Creed and mean it without their fingers crossed?” If the answer is yes, they may still be wrong, and they may be heterodox, but we cannot call them heretics, because they fit within the bounds of historic Christianity. 2. Why is it important for Christians to know about heresies? There are two major reasons. The first is that while there is certainly ambiguity in the Bible, the Creator of the world has decided to reveal himself to us and even to live with us. It is important to honor that revelation. When we find this revelation distasteful and try to reshape God according to our preferences, we are beginning to drift away from God as he really is. Imagine a friend who ignores the parts of you that he or she doesn’t like. Is that a deep relationship? Ambiguity or not, uncomfortable or not, it is vital that we are obedient to what we can know about God. The second reason is related to the first. When we have a flawed image of God, we no longer relate to him in the same way. Think of the way that you might have related to your parents when you were growing up. Even if you didn’t necessarily understand the reasons behind boundaries they set for you in childhood, they look a lot different when you are confident in your parents’ love than when you fear or resent your parents. It is surprising how much our beliefs about God impact our daily lives, which is partly what makes theology such a rewarding (although difficult and dangerous) discipline. As is clear from the New Testament, the apostles were not afraid to call out heresy when they saw it. 3. If you believe a heresy, say that Jesus isn’t God, does this mean you are going to hell? The Bible seems to presuppose a right and a wrong interpretation of Jesus’ coming and the nature and character of God, as it uses strong language against false teachers who promote doctrines that undermine the gospel. In Galatians 1:9, Paul uses the strongest words possible against those who distort the gospel, writing, “If anybody is preaching to you a gospel other than what you accepted, let them be under God’s curse!” And the apostle Peter warns against “false teachers among you [who] will secretly introduce destructive heresies, even denying the sovereign Lord who bought them—bringing swift destruction on themselves” (2 Peter 2:1). 4. What’s the difference between a heresy and a bad doctrine? For instance, between believing that Jesus was not God compared to believing that the initial evidence of baptism in the Holy Spirit is speaking in tongues. Historically both the Roman Catholic tradition and the Reformed tradition have understood that not all theological errors are equally serious. There is a difference between heterodoxy (Christian belief which differs from orthodoxy) and heresy (belief that diverges from orthodoxy beyond a certain point). When everything is central, nothing is. There are those who think that heresy is anything that does not agree with their own interpretation of Holy Scripture. These people fail to differentiate between the primary and secondary elements of the Christian faith and make every belief they have into a pillar of Christianity. So, on this view, if someone disagrees with them about the millennium, about infant baptism, about the role of women in ministry, or about the nature of the atonement, they are quickly labeled a heretic. While such impulses can be well intentioned, the church of the New Testament walked the line between holding fast to some convictions and being flexible about others. Though this group of heresy-hunters often say they’re motivated by concern for the faith once for all delivered to the saints, their practice of labeling every diverging belief as heresy has the opposite effect. Rather than making much of right belief, they minimize its importance by making, for example, the mode of baptism to be as important as the divinity of Christ. When everything is central, nothing is. 5. What two or three ancient heresies do you think are challenging the church right now? I think the repackaged heresies from Pelagius and Socinus challenge the church the most now. Pelagius correctly saw human nature as something good created by God. It is the result of the fall upon humanity (original sin), however, that Pelagius ignores, causing his theology to fall into error. First, Pelagius argued that there is no such thing as original sin. In no way were humans after Adam guilty of or implicated in his first sin. Adam’s sin in no way makes humans guilty or corrupt. Instead, as Pelagius claims, “over the years [our own sin] gradually corrupts us, building an addiction and then holding us bound with what seems like the force of nature itself.” Humans by nature have a clean slate — a state of neutrality — according to Pelagius, and it is only through voluntary sin through the exercise of an unhampered human free will that humans are made wicked. Potentially, then, one could live a sinless life and merit heaven, for there is nothing intrinsically sinful about humans even after Adam and Eve’s sin. Pelagius didn’t consider humans to be intrinsically damnable after the fall. In short, Pelagius rejected the doctrines of original sin, substitutionary atonement (the idea that Christ’s death in our place is a supernatural intervention to save us), and justification by faith (the idea that believing and trusting in Christ is the way to salvation). Socinus held a unitarian view of God: only God the Father is truly and fully divine. Jesus, “the Son of God,” received a unique divinely appointed office as the Logos, an office which deserves respect and even worship. However, for Jesus, that respect and worship were limited to his office and did not extend to his person, which Socinus argued was not divine. Socinus argued that the ecumenically accepted doctrine of the Trinity could not be defended. Given his understanding of the radical unity of God and, consequently, Jesus’ merely human existence, Socinus’s view of the atonement logically differed from commonly accepted views. Socinus argued that because Jesus was not divine, his death could not have been intended to make satisfaction (as Anselm argued) or to pay a penalty on behalf of other humans (as the Calvinists argued). Instead, Socinus understood Christ’s death to serve as a way for God to model true love and devotion and to demonstrate the way of salvation. Jesus, then, provided the unique and divinely anointed model for humans to imitate. 6. Is it important to call out present-day heretics? Aside from bloggers (just kidding), who in the church has the responsibility to do this? It is very important. I think just bloggers and people who write books on heresy (and orthodoxy) should have such authority. Let’s make a committee. Seriously, because the line between heterodoxy and heresy is blurry, we need lots of wisdom, discernment, and humility before we declare that someone has departed into full-blown heresy. In addition, we must remember that the entirety of what we think Christians should believe is not identical to what a person must believe to be saved. We believe in justification by faith in Christ, not justification by accuracy of doctrine. We are saved by the grace of Jesus, not our intellectual precision. But eventually, so the story goes, he falls madly in love with the poor man’s beautiful daughter, sweeps her off her feet, and they live happily ever after and she shares in his vast inheritance. The Bible, from the very beginning, has a lot to say about sonship and inheritance. Isaac, Abraham’s son, inherits the blessing of his father. Jacob, Isaac’s son, through deceit, gains the birthright and blessing of the firstborn Esau. It is the sons who get the property of the family, and it is the firstborn who inherits a “double-portion” of the father’s house (Deut. 21:17). However, one of the earliest books in the Old Testament canon, tells the story of another wealthy man named Job who follows a different pattern. At the end of the story Job shares the inheritance of his house with both his sons and daughters. Here, as far back as the book of Job, we see a father giving all of his estate to his sons and daughters. This is a startling picture of the eternal purpose of the heavenly Father in granting the abundance of his kingdom to his sons and daughters. Now God doesn’t switch-up the pattern entirely. After all, it his Son, Jesus, the firstborn of all creation, to whom belongs all of his Father’s estate. And it is this Son whom we–male and female–are united to by faith in him. Therefore there is no difference between the wealth of the kingdom, salvation, and eternal life that men and women who have trusted the firstborn Son inherit. All who are in the son–both genders–inherit the entirety of the Son’s estate. Furthermore, the sons and daughters share in the very glory of the Son (Ro. 8:17). 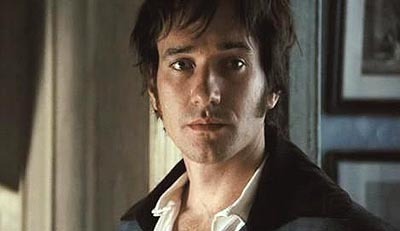 Jesus is better than Mr. Darcy. The book of Ephesians reveals this at another glorious angle. Not only do men and women share in the whole portion of Jesus’ inheritance and share in his glory, the chosen sons and daughters are the inheritance of God himself. We inherit God and his cosmic victory in Christ, and God inherits us (Eph. 1:18). We possess the possessions of God and God possesses us. We are his personal possession. The beloved of the Triune God. His chosen. And this from all eternity. Whether you are a poor single mom or the unsuccessful brother surrounded by successful brothers, if you are trusting Jesus, “all things are yours…and you are Christ’s and Christ is God’s” (1 Cor. 3:21-23). False teachers make merchandise of their followers. 3. False teachers are venters of the devices and visions of their own head and hearts. 4. False teachers easily pass over the great and weighty things both of law and gospel, and stand most upon those things that are of the least moment an concernment to the souls of men. 5. False teachers cover and colour their dangerous principles and soul-impostures with very fair speeches and plausible pretences, with high notions and golden expressions. 6. False teachers strive more to win over men to their opinions, than to better them in their conversations. Hate doesn’t normally come up in the list of Christian virtues. But it should. We are to hate what is evil. This is a command, and a neglected one at that. God through the prophet Amos called his people to: “Hate evil, love good; maintain justice in the courts” (Amos 5:15). Notice how hating evil relates to justice. Justice requires hating injustice. There is no passivity here. Evil is not to be tolerated. It is to be hated. So much for tolerance. We must pray our hate. Now, this is Old Testament stuff, right? No. It is for the Christian. In fact, hate follows love. Paul knew this connection well. He could speak of love in one sentence and in the very next one mention hate: “Love must be sincere. Hate what is evil; cling to what is good” (Romans 12:9). Christians are not to take the sword. Jesus told Peter to put his away. However, Christians are still called to hate. If you are like me, you’ve experienced a desensitizing of evil. We can blame TV or video games. Or we can blame it on overly optimistic, smiley-faced, sentimental Christianity. But fundamentally we can blame a low view of God. We don’t hate like we should because we don’t love like we should. To love God, as he is revealed in Scripture, is to love a God of justice and a God who will one day punish his enemies and banish the curse from the new heavens and earth wherever it may lay. Hatred of evil requires delight in the justice of God—both his restorative justice and his retributive justice. Evangelicals are giddy on the restorative justice of God—and we should be—but we tend to ignore his retributive justice. We love little and hate little because we ignore God in his fullness, especially his holiness. We don’t hate like we should because we don’t love like we should. I started thinking about this in reading Psalm 139 and how David prays his hate. This Psalm is usually taught in Sunday School, but we make sure to edit out all that slaying and hating enemies stuff near the end of the Psalm. We like the very end. The just me and God part, but not the speaking out on matters of public injustice part. We are to hate all that God hates, not just what the world wants us to hate. Our society hates environmental injustice and hates racial injustice, and we should do the same. But we must go further and not remain silent on other things that God hates. We tend to want justice for giraffes more than we do unborn human embryos–which this Psalm says, God himself spends time carefully knitting together (119:15-16). So we must acquire a hatred given by God and not just by culture. We must pray for the hate we do not feel. We must pray for the hate we do not feel. Hate, prayed, takes our lives to bedrock where the foundations of justice are being laid. (99-100, 101). We must pray our hate. What else are you going to do with it? One of the reasons prayer is impotent is because we sanitize what we say to God. But he can handle it. We think a high view of the sovereignty of God, means a passive, emotionless, stoic prayer. It doesn’t. Psalm 139 demonstrates this: David knows all his days were planned by God before they happened in verse 16 and yet he channels his hate in prayer in verses 19-22. Now, you pray yours. Pray your hate. We can talk theodicy, but do we pray it? Enough of philosophizing and theologizing alone. Don’t vent it on other people, but vent it on God. We can theologize about the problem of evil, but we should also pray about this problem. Part of the prayer of the kingdom is praying our hate. Asking for the Father’s kingdom to come, implies the demolishing of the kingdoms of this world. Anger at the state of the world, even anger at God, is expressed in the Psalms (and Prophets). There is a wrestling with God that needs to characterize more of Christian prayer. We can talk theodicy, but do we pray it? Enough of philosophizing and theologizing alone. True prayer does more than think. It emotes and feels. The Psalms liberate us to be human and teach us to pray the way we should. They show us what the relationship of God with believers who have gone before us looked like. Finally, our hate must also be gospel-shaped. One thing we learn is that God came as a man in the person of Jesus of Nazareth to die for his enemies. Jesus was slain in the place of the wicked. Therefore we love victims by hating what victimized them–naming and identifying evil personally and publicly–but we also pray for the salvation of perpetrators. Jesus prayed for the forgiveness of the perpetrators that crucified him, and we should pray for those who have victimized us and ones we love. We love our neighbors and we love God in his holy justice by telling the ungodly the good news of the cross—where divine love and justice kiss—and abhorring the evil that creates victims of all kinds and crucified our sinless Savior. Christians hate evil and like their Savior love their enemies even in the face of their own death. So Christian, pray your hatred and remember genuine Christian love hates. Poet Taylor Mali’s sarcastic response to a question about where his favorite place to write is, is humorous. I also think it is wise and has wider implications. The things we do in life. The decisions we make. The tasks we fulfill. The dreams we seek to achieve. They often don’t happen in some dramatic or epic fashion. They do, do that. But not always. Some come just by sitting at a desk, staring at a screen, and moving your fingers over a keyboard. The daily grind, so to speak. Now, I don’t mean joyless. But I do mean that they are usually relatively repetitive and mundane. Whatever it is that you want to do or be, hope to do or be, and dream to do or be, don’t wait for the right moment. That could be your problem. Just do it. Practice. Endure. Do what you have been doing and continue doing it. Or stop what you have been doing and do something else. This works for spiritual disciplines and our celebrity Christian culture as well. We want our prayers to get answered yesterday. We want our preaching to be on the biggest stage. We want our music to sell. We want to quit falling into the same sinful patterns. We want the other guy’s book deal. We want our church to be the biggest and the best. We want to be looked up to and emulated. And when we ask these kinds of questions to our favorite authors or preachers or celebrities or great dads or wise stewards we often expect an out-of-this-world answer, but often its day-to-day endurance and faithfulness that it is the answer. We want a great poet like Taylor to give us the magic key. But he doesn’t. His answer is pretty boring. Want to be a great dad? Be a dad, minus the great, consistently. The great comes from days upon days, years upon years, and decades upon decades of just being one. Want to be a great writer, a great preacher, a great wife, a great whatever? Same equation. In some sense, forget about being great. Just be faithful. In other words, be godly. And do that in all you do. Godliness is never an overnight process. Greatness has all the flash, while godliness simmers under the surface. Greatness may make the newspapers of one generation, but godliness has a lasting impact that ripples through many generations. Americans, even Christian ones, crave the great but not the godly. How do we do this? How do we get godly? As pragmatists, we want to know this too. Well, practically it comes not at first from doing at all. It comes from trusting. Trusting Jesus with our successes and with our failures. Believing in him for our past, present, and future. The how is not, be like Jesus. Of course, as Christians, we should shoot for this. But that isn’t the gospel. No one becomes a Christian that way. The first step of saving faith is admitting your not Jesus and trusting the real One. He is the one who said, “the one who endures to the end will be saved”. And we endure by faith. Faith in him, that is. So being great at anything comes through endurance and it may not end with your name in lights in this world, but if it ends with “Well Done” in the next that’s all you really need. 7 Quotes from Andrew Murray's "Humility"